Musician and composer Stewart Copeland, who caught the world’s attention when he captured the raw energy of the London punk rock scene by forming The Police, is coming to the Valley Performing Arts Center with his latest project. Copeland has spent the past three decades as an acclaimed film composer, filmmaker and creator of opera, ballet and chamber music. His current muse, the 1925 film Ben Hur: A Tale of The Christ, remains the most expensive silent film ever made, with an enormous cast and breathtaking visuals. Nearly a century later, the film’s chariot race endures as one of the most influential action sequences in cinema history. On Wednesday, March 16 at 8:00pm, the silent film epic Ben­-Hur: A Tale of the Christ will be brought to new life with the infusion of a new and original 90-minute orchestral score, composed and performed by Stewart Copeland, along with the Pacific Symphony, with Richard Kaufman conducting. The evening will feature composer Copeland, himself, performing on drum set and percussion, fronting a full symphony orchestra, as VPAC resounds with hoof beats and drumbeats. As a film composer, Copeland has worked with many of the greatest film directors of our generation, including Francis Ford Coppola and Oliver Stone. Ben Hur: A Tale of The Christ is a project that for the first time combines Copeland’s many talents in composition, orchestration, film scoring, film editing, and of course, his remarkable virtuosity behind the drums. Copeland spent his childhood years in Cairo, Egypt and Lebanon, steeped in the music of the Middle East. The score to Ben-Hur: A Tale of the Christ carries an authentic, symphonic Middle Eastern sound that showcases Arabic rhythms and is deeply rooted in the ethnicity of the region. Fred Niblo’s 1925 film Ben-Hur: A Tale of the Christ was the most expensive silent film ever made, with an enormous cast and crew and a visual scope that is breathtaking to this day. 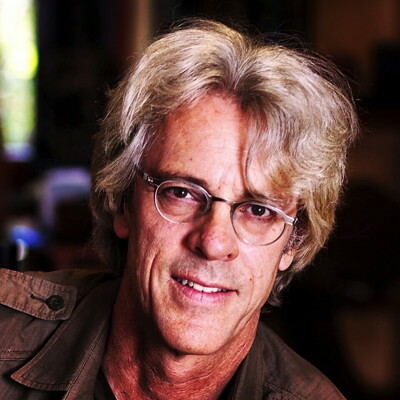 In 2010 legendary drummer and film score composer, Stewart Copeland was asked to compose a score for an arena spectacle of the original book including the iconic chariot scene and marine battle. It ran throughout Europe including Munich, Rome and the O2 Arena in London. Copeland was then commissioned by the Virginia Arts Festival to edit the Niblo classic film and re-assemble his score for live performance with orchestra. Conducted by Richard Kaufman, who is celebrating his 25th season as Pacific Symphony’s Principal Pops Conductor. Kaufman, a regional native, has received the Distinguished Alumni Award from California State University, Northridge. Following this performance, Pacific Symphony will present the film on its Pops series at the Renée and Henry Segerstrom Concert Hall in Costa Mesa, on March 18 and 19, 2016. ValleyPerformingArtsCenter.org or calling (818) 677-3000. When the 2009 Ben-Hur Live arena production of the Lew Wallace novel finished its run in 2011 I felt strongly that the score I had composed for this project deserved a life of its own. I had seen Fred Niblo’s classic original version of this famous story and had been overwhelmed by its scale. Watching those same scenes that I had scored for a different medium, I couldn’t help but hear my music working with Ramon Novarro’s portrayal of Judah and Fred Niblo’s depiction of Lewis Wallace’s book. I felt that my new score would provide access for audiences to see the original masterpiece and to learn more about the various iterations of Ben-Hur, since it appears that many only know the Charlton Heston film. Filmmakers are a strange breed, and none more so than the editors. But during the twenty years I spent working closely with them in post-production they taught me a thing or two about cinematic story telling. Pace is crucial, and this is where my concert version will diverge most profoundly with the original cut. The full-length version of the film is very long. At two hours and twenty seven minutes it’s best enjoyed at rare screenings, although it still packs a punch on a flat screen at home. But at a concert hall or festival, I believe the new version I have envisioned will be an excellent mix of story, film and symphonic performance. Richard Kaufman has devoted much of his musical life to conducting and supervising music for film and television productions, as well as performing film and classical music in concert halls and on recordings. The 2015-16 concert season marks Kaufman’s 25th season as Principal Pops Conductor of Pacific Symphony. He also holds the permanent title of Pops Conductor Laureate with the Dallas Symphony, and is in his tenth season with the Chicago Symphony Orchestra concert series, “CSO at the Movies.” This past May, Kaufman made his conducting debut with the Boston Pops, stepping in on short notice for John Williams. Kaufman regularly appears as a guest conductor with symphony orchestras throughout both the United States and around the world including Cleveland, Atlanta, St. Louis, London, Calgary, Edmonton, Liverpool, the RTE Concert Orchestra in Dublin, Rotterdam, and the Royal Scottish National Orchestra. In addition to conducting “traditional” concert presentations, Kaufman often leads performances of complete film scores in concert, synchronizing the music to the actual film as it is shown on the screen above the orchestra. These legendary film titles include Singin’ in the Rain, The Wizard of Oz, Psycho, Casablanca, The Bride of Frankenstein, and Pirates of the Caribbean, Home Alone, On the Waterfront, and Star Trek. He has also conducted numerous silent films in concert. Kaufman has conducted for performers including John Denver, Andy Williams, Mary Martin, Nanette Fabray, Sir James Galway, Diana Krall, Chris Botti, The Pointer Sisters, The Beach Boys, Peter Paul and Mary, Robert Goulet, David Copperfield, The Righteous Brothers, and Art Garfunkel. Kaufman received the 1993 GRAMMY Award in the category of Best Pop Instrumental Performance. In addition to his two recordings with the London Symphony Orchestra, he has recorded CDs with the Nuremberg Symphony, the New Zealand Symphony Orchestra, and the Brandenburg Philharmonic in Berlin. In 2012, Kaufman received the “Distinguished Alumni Award” from California State University, Northridge (CSUN). While a student at CSUN, he composed the University’s Alma Mater and Fight Song, and was the keynote speaker for the CSUN Honors Convocation Ceremony. He has appeared as a guest speaker at various universities including USC, Georgia and the California State Universities at Northridge and Fullerton. He is a member of the Music Advisory Board of the Young Musicians Foundation. Born in Los Angeles, Kaufman began violin studies at age 7, played in the Peter Meremblum California Junior Symphony, and was a member of the Young Musicians Foundation Debut Orchestra. He attended the Berkshire Music Festival at Tanglewood in the fellowship program, and earned a B.A. in Music from California State University, Northridge. Kaufman lives in Southern California with his wife, Gayle, a former dancer in film, television, and on Broadway. His daughter, Whitney is a graduate (with honors) from Chapman University in Orange, Calif., and for 2 ½ years was a member of the cast of the National Tour of Mamma Mia. For more information on Pacific Symphony, please call (714) 755-5799 or visit their site.